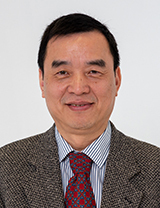 Dr. Riqiang Yan from the Cleveland Clinic has been named the new chair of the Department of Neuroscience. He will join us this spring and establish the medical school’s first research laboratory dedicated to studying and discovering potentially new treatments for Alzheimer’s disease and other forms of neurodegenerative disease. Learn more about his internationally recognized research.